← Pretty, pretty please with a cherry on top?!! What started out as a pile of very out of date, small print fabric that I have dipped into for years and years and can’t seem to make a dent in has turned into one of my very favorite finishes, in a very long time. This quilt was inspired by the quilt that Jane Austen made. I consider myself a hand quilter, but wanted to play with machine quilting and this one seemed like a great opportunity. I quilted 1/4″ inside and outside of all the 1″ sashings. This left 4 ” sections unquilted. This is further far apart than I ever quilt. Normally I quilt everything within an inch of its life or of another line of quilting, whichever comes first. Having only 1/2″ spacing makes for very heavy quilts. Not the case here, this quilt feels like it could float away, it is so light and cuddly. I hope some little girl with wrap her self up in it and feel special and loved. And know that she is. Warm and Natural cotton batting. Previously discussed here, here and here. I was recently struggling with some quilt designs and realized that my stash was seriously deficient in monochromatic fabrics. So after talking with Diana at Pink Chalk Fabrics she put together this very modern, tone on tone, color with white fabrics, things I’ve never owned before, fat quarter group. She can read minds, that woman. What a luxurious hand these new fabrics have. They are even more gorgeous in real life! When my package arrived, I had a little flash of nostalgia. Someday I’m going to miss this old fabric that has been a part of my life still the beginning of my quilting. It has always been there, languishing in the cupboard, and somehow I don’t think it can ever be totally be used up. But what if it is??? Tell me I am not alone in my thinking. My goal was always to use it up, but now I’m wondering…. This entry was posted in 2012 completes, Charity Quilt, machine quilting, Quilting, Sewing and tagged 2012 completes, charity quilt, diamonds are a girls best friend quilt, jane austen quilt, jane austin quilt, margaret's hope chest, quilt finishes, Wrapped in Hope. Bookmark the permalink. For the record, I loved this one from the very beginning and still do! Thanks, Nicole! You should give one a go! What a feminine, sweet, wonderful quilt. I do hope it finds a loving home! Thanks Tabitha, I’m sure it will! What a beautiful quilt! I think I have some of those pinks in my stash, as well. Like you, my goal is to use up my stash but when I finally use up something, I do feel a little twinge of sadness. I always try to think of how loved the new quilt will be, and that makes the sadness go away. 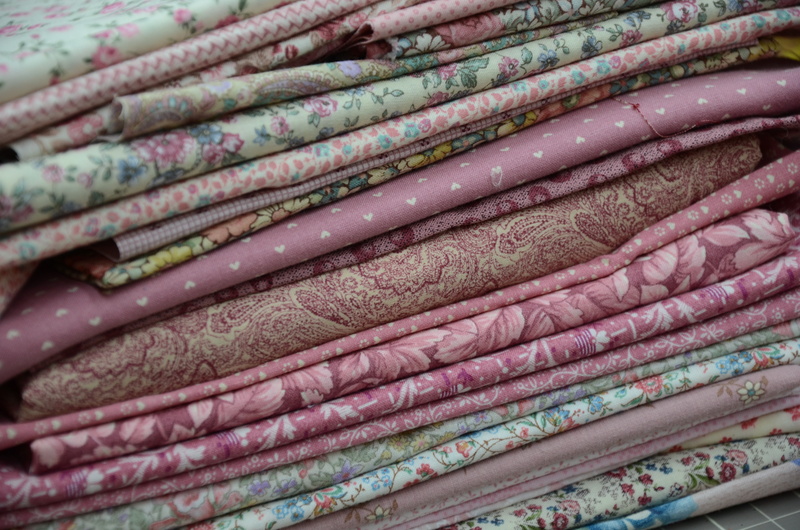 I think when I bought all these pinks, over several quilts, I was buying in yardages. I now almost always buy in fat quarter or half yard cuts. Rarely do I buy yardage unless it is for a specific purpose, sashing, backings, a planned quilt…. So it seems it will never be totally gone! Of course, I do sleep under one of these pink quilts every night, so I shouldn’t ever be sad! You are very lucky to be able to sleep under one of these pink quilts. Do you ever sell your pink quilts? No, I’ve never sold any of my quilts. Seems like there is always a family member, new baby or charity, in need….But, thank you, Deleana!! Such a gorgeous quilt! I love it! I must be very out of date, too, though, because I love your pretty stack of pinks in small prints (lol). I’m a calico girl at heart. But I see what you mean about them being a bit prosaic, especially compared to the FQ bundle Diana put together. However, you have breathed new life into them in that diamond quilt. A bit of modern mixed with such sweet calicos . . . so amazing. What a great finish! Thank you for linking up! Thank you, E. And I should never have called them ugly, dated, old…. I have heard from so many who are calico girls, like yourself. I must be a fence sitter because they are a HUGE part of my stash, so I must have loved them at one time, LOL! I just machine quilted my first quilt too. I’m a hand quilter. It was fun bit I’ll stick with hand quilting. Your quilt looks great. I love the look of the fabrics together, that is one sweet quilt. Thanks, Amanda. It’s great to hear from another hand quilter! I’ll probably continue to push on with a few more machine quilted ones, just to try to catch up with my tops! I’ve got several tops designated as hand quilts now, but many more in stacks or in my head as machine quilts! I love what you did with this quilt. The quilting is perfect! It’s always so amazing to me what people can do with their ‘old’ fabrics when they want to. For some reason, there seems to be less pressure using up the old stuff and then great things can happen as a result. I totally agree, Audrey, about the less pressure with old fabric. Weird because it was the *new* fabric at one time…. I never really gave it a lot of thought until I received that really modern stack, of new fabrics, and then it hit me. Everything I make will eventually evolve into something totally different. I’m not good with change, LOL! I love that you used fabric from your stash and that it still has a fresh look about it. Beautiful finish! Thanks for linking up to TGIFF! Scary how many quilts I could make from my scrap baskets. It feels like I need to pull a few all nighters…. Gorgeous! And I guess whether you use it up depends on how small are the scraps you are willing to hang on to! Janet, you are scaring me now! LOL! Thanks, Alyce! I’m happy with it! Visiting from Can I get a whoop whoop…love your diamond quilt! Did you use at template or just cut strips and then sub cut them on an angle? Both, sort of. I cut strips, then sub cut them. I had a paper template that I taped to the back of my cutting ruler to make it easier to get the final cuts accurate. What a lovely little quilt. I’m sure it will make some little girl very happy. Now I want to make one for my little girl! The quilt is so pretty. The colors work so well together and it looks so soft and comfy. How wonderful it would be to snuggle under. Great job! The quilt is beautiful, and i don’t think you’ll ever regret making it! I just love your Diamonds are a girls best friend quilt. Pinned it!! To save for inspiration at a later date. 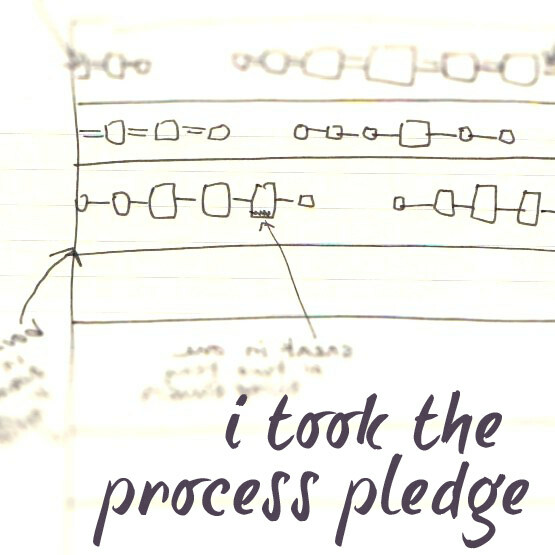 Stumbled upon your blog through Confessions of a Fabric Addict-Love it! Beautiful quilt!! I love the soft colors and the diamond design!! Whoop whoop!! What a beauty! I love the simple quilting and what it does for the design. This would make a good design to use some charm packs I’ve had no idea what to do with. Love it when ;you can use something that has just been waiting on the shelf for the right moment! Great job! Thank you! I think the florals in softer colors really make it a JA style quilt. I have another one in the works that can not be considered a JA quilt, it is Kaffe Fassett BOLD! Is there a pattern available for this quilt? The diamonds are throwing me off. Amanda, I didn’t have a pattern and it was a bear for me, too! It finally started to come together when I layed it out on the floor, using yardsticks as a corner, so I could “see” it better. Good Luck! Is the “Diamonds are a girl’s best friend” pattern available? I cannot seem tot find it here or at Pink Chalk Designs? I’m sorry, Jan, but I have never gotten around writing up a pattern for this. You aren’t the first to ask, maybe I should get on it!! I am going to try to make this quilt for my grand-daughter. I will start this week. It is darling! Thank you for the inspiration. I made the quilt top; took me just under two weeks. The size is closer to 51 x 61 with probably a different size of diamond that you used and I used sky blue colours. I love how it turned out. I don’t know how to send you a photo of it.